Capitol reporter Ryland Barton says state lawmakers are considering raises for the KSP. Representatives from the professional association for state troopers are requesting a 5 percent increase in pay for all state police employees and a $5,000-per-year raise for all state troopers. The pay hikes would help the Kentucky State Police attract and retain employees, according to Tim Hazlette, president of the KSP Professional Association. Hazlette said after three years of service, troopers don’t get raises the longer they stay on the job. The $5,000 increase would apply to all 878 sworn officers in the Kentucky State Police force, and the 5 percent raise would apply to the department’s additional 1,836 employees. The Kentucky State Police Professional Association estimates the pay increases would cost $15.1 million per year. 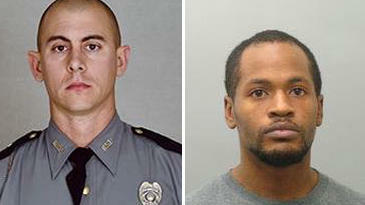 The request comes one week after a state trooper was shot and killed after a high-speed chase in western Kentucky. Legislators are already considering setting aside money for bullet proof glass on state police cruisers. According to Hazlette, Kentucky pays troopers about $1,000 less per year than neighboring states, leading some to jump ship. Even if they stay in Kentucky and try to seek a promotion, Hazlette said that usually requires relocation. The pay increases would also apply to those in the Kentucky State Police Forensics Lab, which according to a recent report from the state auditor suffers from recruitment and retention issues because of low pay. State Sen. Robin Webb, a Democrat from Grayson, said troopers are due a pay increase because their jobs require higher educational requirements than they used to. “You go to college, you collect debt sometimes and that’s an additional burden, and I think that affects our applicants because the compensation is just not there,” Webb said. State Sen. Danny Carroll, a Republican from Paducah, said the legislature should look into setting up an incremental pay system for troopers rather than a pay hike because of budget constraints. Kentucky State Police and thousands of former camp attendees are celebrating a half century of summertime recreation and mentorship. 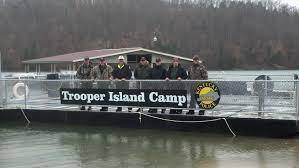 The fun takes place on an island at Dale Hollow Lake in southern Kentucky. KSP Spokesman Sargent Michael Webb says it's a structured environment with fresh air, good food, recreation, and esteem building activities. "It's a wonderful respite for these children to be able to go and just get away from all the busyness and other cares of this world and just go there and just have fun," said Webb. 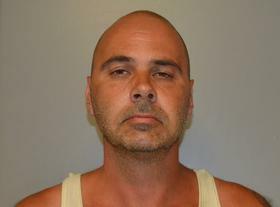 Police have charged an Oregon man with use of a weapon of mass destruction after discovering an alleged improvised explosive device in his car during a traffic stop on interstate 24 in Lyon County.